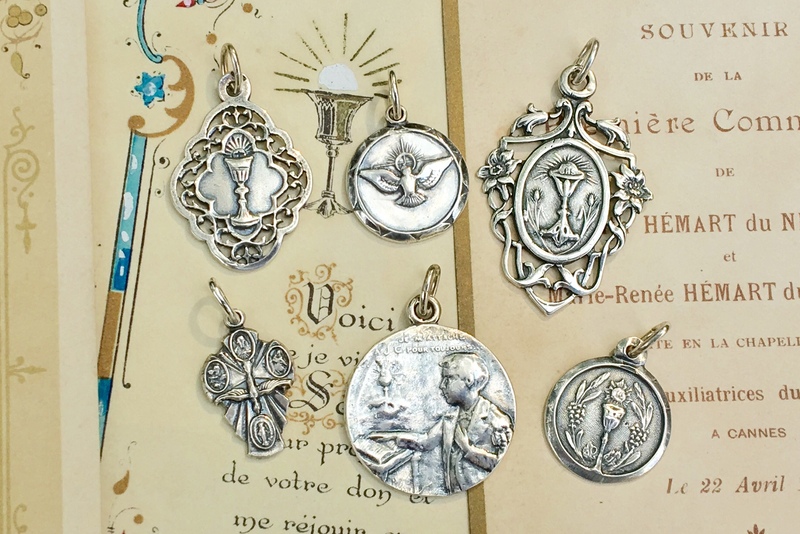 Since 2008, Rosa Mystica Medals has been a channel of God's love by providing high quality sterling silver replicas of antique religious medals featuring Catholic devotions, sacraments, and patron saints. 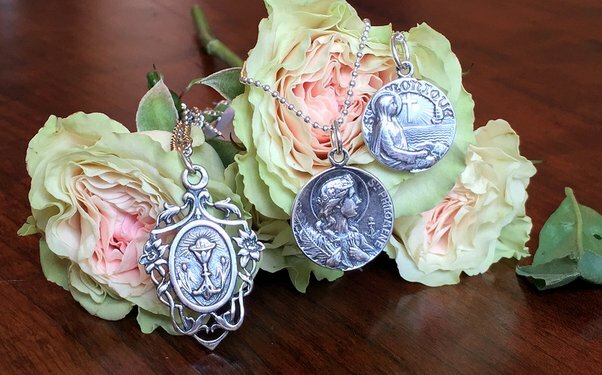 Rosa Mystica believes in the importance of preserving the tradition of Catholic medals by sharing each medal's history and the stories of the saints and devotions they represent. 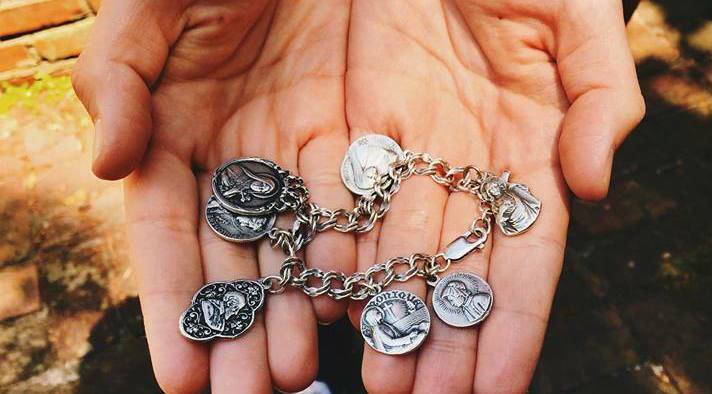 Find a Patron Saint for almost everything in your life. 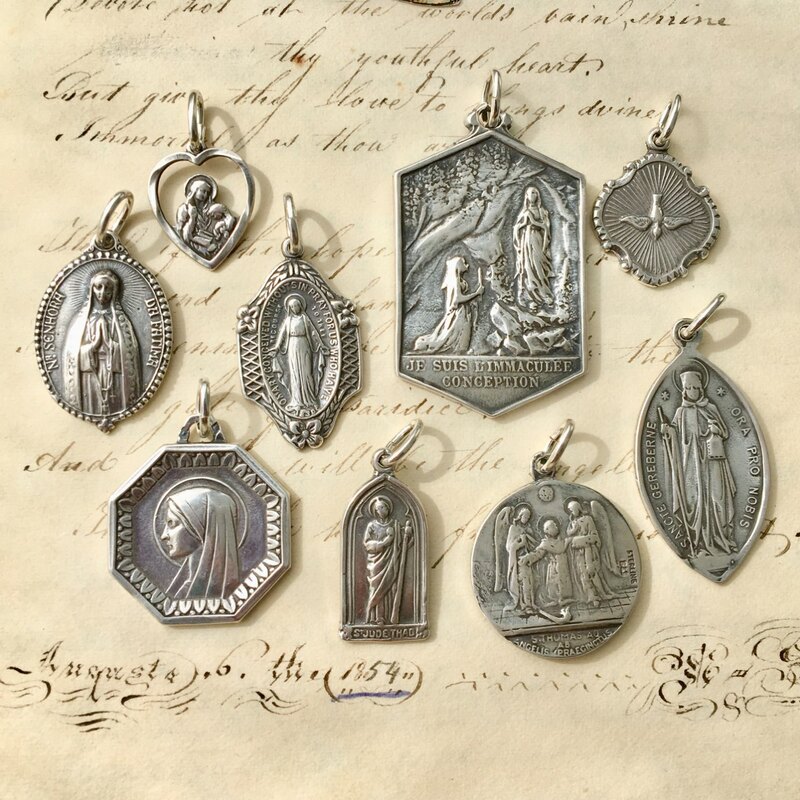 All of Susan Monroe's hard work of finding, recasting, polishing, finishing & packaging really shines through each of these saint medals. Thank you, for bringing these beautiful designs from the past into the 21st century for all of us to enjoy. 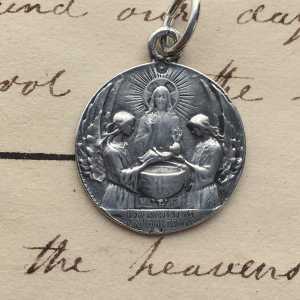 What a beautiful medal. More than I was expecting. 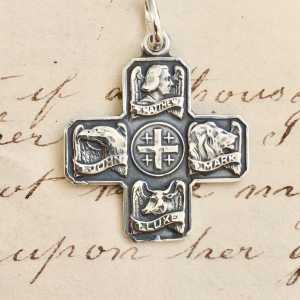 Providing High Quality Antique Style Sterling Silver Saint Medals for over 10 years. 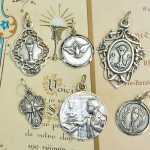 Rosa Mystica has been selling replicas of antique religious medals since 2008. 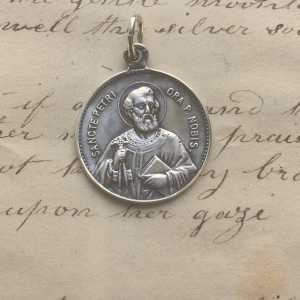 Each one is cast from an original antique in the Rosa Mystica collection making them unique in the craftsmanship and artistry when compared to the medals offered in today's mass-produced world. 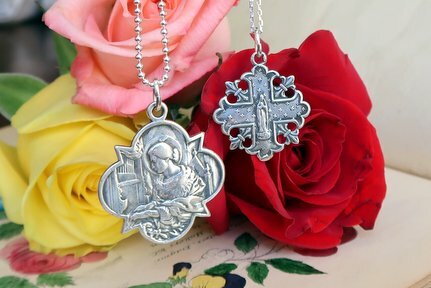 Owned and operated by Susan and John Monroe, we are located in Atlanta, Georgia and sell on Amazon, Etsy, Shopify and occasionally at local marketplaces. 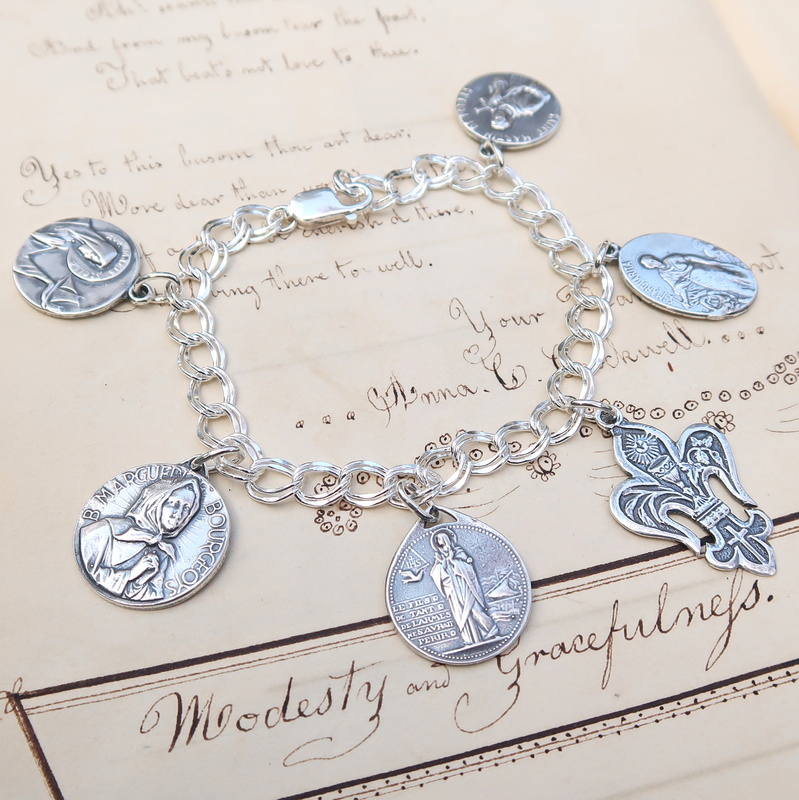 Thank you for visiting our shop and God bless! We'd love to hear from you! If you have any questions, comments or stories to share, please contact us by filling out the form below! 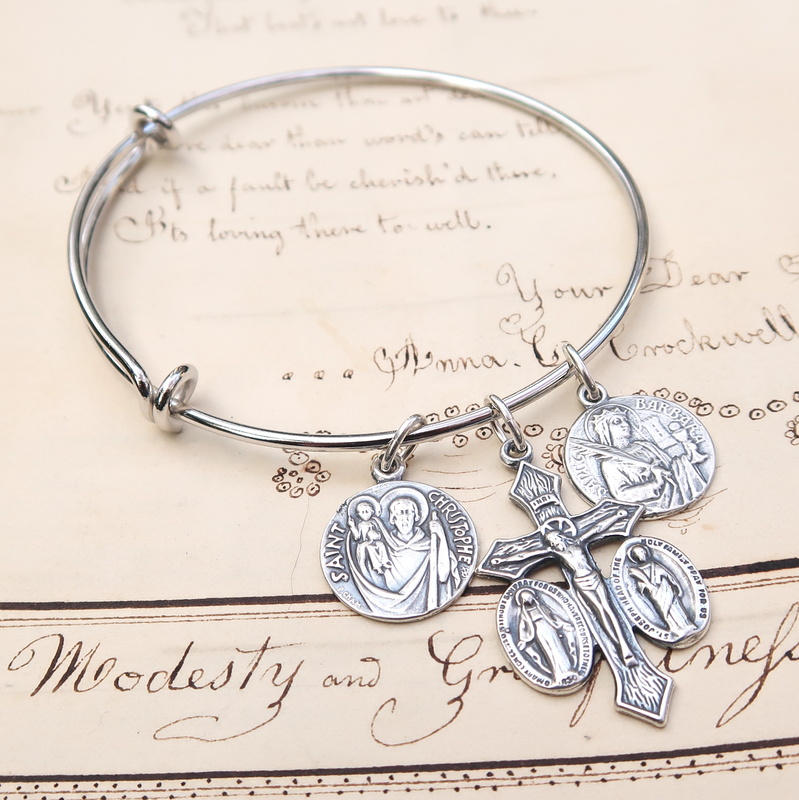 Communion & Confirmation Special! 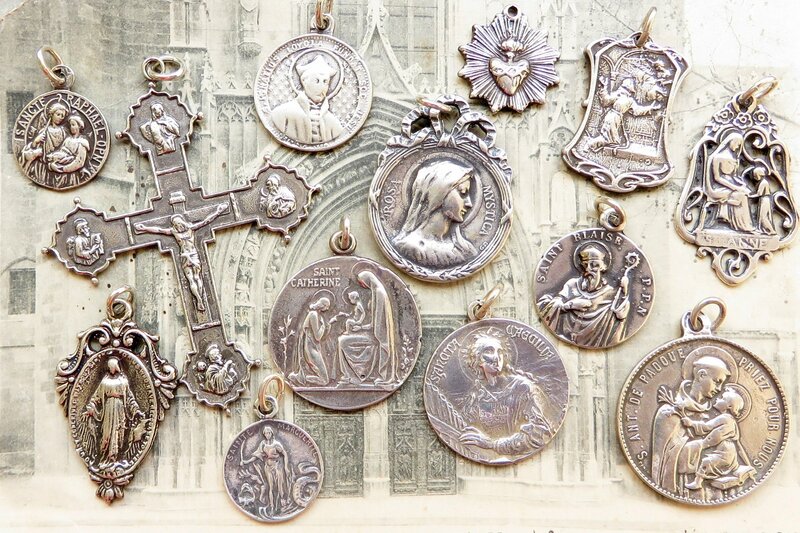 Add any of these medals to your cart and use code "sacrament" to get free standard shipping on your order!